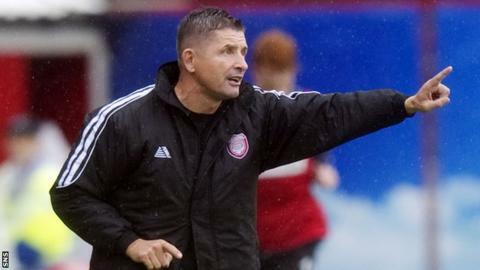 Arbroath manager Allan Moore has been given the Scottish Professional Football League Two manager of the month award for August. The Red Lichties notched up four straight league wins last month August, and remain undefeated. Their impressive start to the season has earned the Angus club maximum points, to sit at the top of the table with a three-point lead. Moore took over as manager at Gayfield in June, replacing Paul Sheerin.